이노비가 KACF의 그랜트를 받게 되었습니다. 이로써 이노비가 사회에 소외계층에 문화를 통해 행복을 전파하는 일이 더 가능해지게 되었습니다. KACF에 깊은 감사를 드립니다. + 클릭하시면 '중앙일보' 기사를 보실수 있습니다. 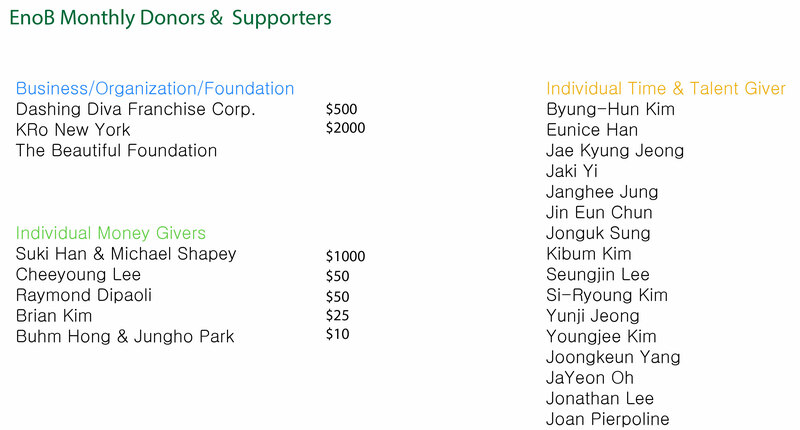 EnoB is honored to receive a grant from the KACF (Korean American Community Foundation). This grant will ensure that EnoB will be more able to realize EnoB's mission for the under-privileged. This picture was taken during the KACF site visit. From left to right: the President of EnoB, TaeWook Kang, the Executive Director of KACF, KyungBok Yun, the KACF Board Chair, Dr. Hong MunKyung, EnoB Musicians, and the KACF Program Officer, Brennan Gang. + An accompanying article can be viewed by clicking on the image. 6월 13일 오늘, 이노비는 브롱스 이스터실즈에서 아이들과 즐거운 시간을 보내고 왔습니다. 여러가지 악기와 두명의 뮤지컬배우가 함께한 이번 공연은 뮤지컬 “미녀와 야수”의 주옥같은 곡과 이야기, 그리고 율동과 여러 악기를 체험해 볼 수 있는 시간을 가졌습니다. 아이들이 즐거워하는 모습을 보고 저희가 더 마음이 따뜻해 지는 시간이었습니다. + 이미지를 클릭하시면 공연 동영상을 보실수 있습니다. + 이 공연은 아름다운재단 USA의 후원으로 이루어 졌습니다. On June 13, EnoB held a successful outreach concert for children with special needs at the Easter Seals Child Development Center in the Bronx. Here are all the wonderful pictures that were taken at the event! 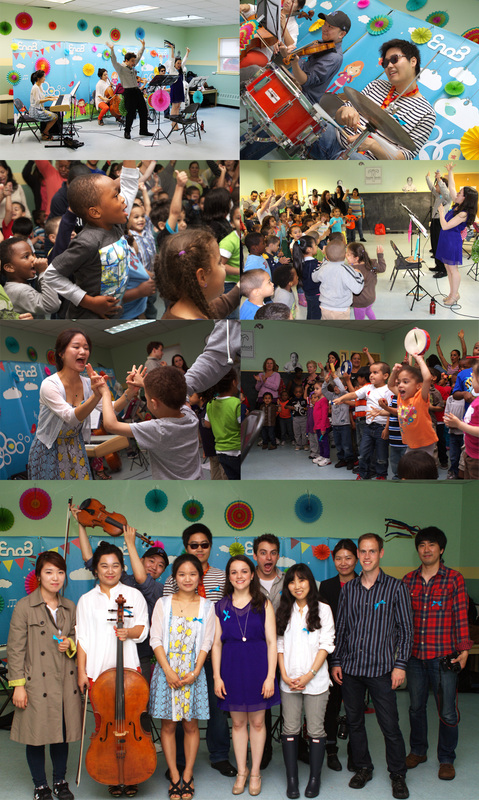 We hope to continue to spread happiness through our outreach concerts! + A video stream of the event can be viewed by clicking on the image. + This concert is sponsored by the Beautiful Foundation USA. 6 월 26일 이노비가 여성장애인들과 환자들을 위한 콘서트를 IWD(The Initiative for Women with Disabilities Elly and Steve Hammerman Health & Wellness Center)와 함께 NYU Langone Medical center에서 개최하였습니다. 줄리아드와 시티오페라 주역출신이자 이윤아 선생님께서 뮤직디렉터를 맡아주셔서 현재 메트로폴리탄 오페라에 출연중인 성악가등 5명의 세계적인 음악가 분들이 가슴 따뜻해지는 오페라를 선보였습니다. EnoB held a concert on Wednesday June 26th at 5pm for women with disabilities with The Initiative for Women with Disabilities Elly and Steve Hammerman Health & Wellness Center(IWD) at NYU Langone Medical Center; EnoB Music Director Yunah Lee, a Juilliard School Graduate and a former member of the New York City Opera, with fellow musicians currently affiliated with the Metropolitan Opera, gave a heart rendering musical performance. “네이버 해피빈”에 이노비 모금함이 열렸습니다! Enob Seoul has been approved as a fundraising organization. EnoB Seoul now has a relationship with Naver Happy Bean, the online portal which connects donors with non-profit organizations. A “Bean” is the way to donate at Happy Bean (each bean is = to 100 won). You collect beans through postings at Naver (reply at JisikIn, adding cash). If you are a Naver user, please donate your beans to EnoB. Even one bean has the ability to change the world. 지 난 5월 27일, 서남병원 진료개시 2주년을 기념하여 환자분들을 위한 이노비의 작은 음악회가 열렸습니다. 환자분들께는 위로를 드리고, 직원 분들께는 새로운 힘을 드리고, 또 봉사자들에게는 함께 한다는 것의 소중함을 알게 해준 자리였지요. 그 날의 소식이 양천구 인터넷 방송을 통해 자세히 소개되었습니다. + 이미지를 클릭하시면 방송을 들으실수 있습니다. 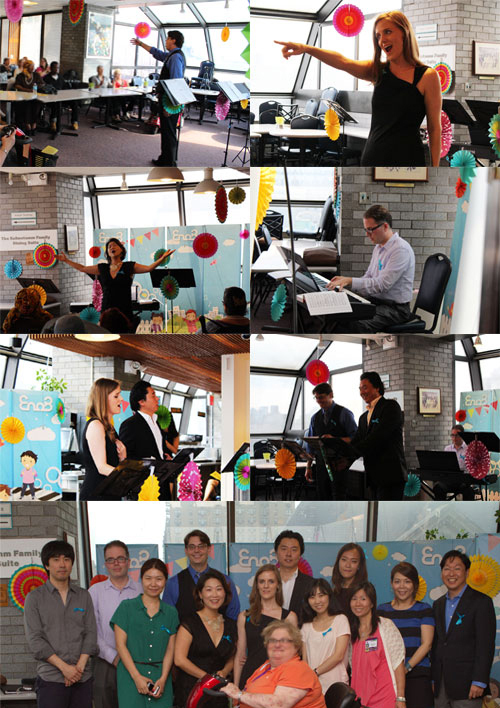 On May 27th, 2013, an EnoB Music Concert celebrated the second anniversary of SeoNam Hospital. This performance gave solace to patients and encouragement to employees and volunteers. The concert was aired by webcast at YangChun County Internet News. + Viewers can tune into the event by clicking the image. 이번 여름동안 이노비와 함께하게된 세명의 인턴을 소개합니다. 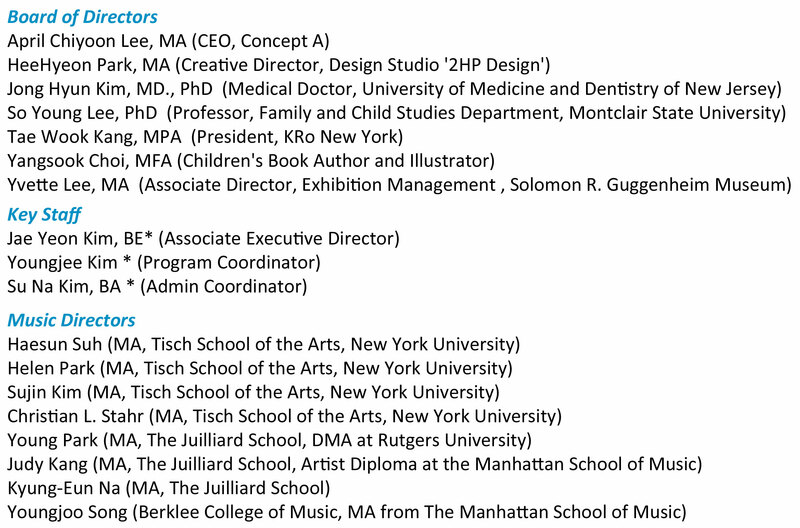 오자연님은 Parsons school of Design에서 일러스트 전공으로 재학중이며 한국과 미국에서 전시활동을 했습니다. 우연한 기회에 재능기부에 대해 알게되면서 비영리단체에 많은 관심을 가지게 되었습니다. Jayeon Oh is majoring in illustration at Parsons School of Design and has had exhibitions of paintings in Korea and U.S.
양중근님은 서강대학교에서 컴퓨터 공학과 경제학 전공으로 재학중이며, 뉴욕에서 비영리 운영과 마케팅 등에 관심을 가지게 되어 이노비에서 인턴을 하게 되었습니다. JoongKeun Yang is majoring in Computer Science and Economics at Sogang University. Her interests in organizations brings her to EnoB. 이진우님은 Berklee College of Music Boston과 New England Conservatory of Music Boston에서 음악작곡과 연주로 학부와 석사과정을 마치고, 뉴욕에서 다양한 음악 활동을 하고 계십니다. 이노비 아웃리치에 뮤지션으로 참여하신 인연으로 인턴을 하게 되었습니다. Jonathan Lee graduated from the Berklee College of Music in Boston and the New Conservatory of Music,Boston in Composition and Performance, and is involved in many music activities in NY. 2012년부터 지금까지 이노진 번역으로 이노비에서 활동해 온 이노비 주니어스탭 김병훈군의 콘서트가 7월 3일에 Northern Highlands Regional High school, Hopkins Hall에서 열립니다. 이번 콘서트를 통해 마련되는 후원금은 장애아동, 투병중인 환자들을 찾아가는 이노비 아웃리치 콘서트의 기금으로 전달됩니다. EnoB’s first junior member, Byung-Hun Kim, started out as a translator and editor for EnoZine in 2012. Byung-Hun Kim was interested in supporting EnoB in their efforts and has organized a concert with school friends to raise money for the organization. 코로나경로센터(한인봉사센터)에서 이노비 첫 아웃리치 콘서트를 개최합니다. 한인어르신들을 위한 이번 콘서트에서 정상급 성악가분들이 찾아가 아름다운 우리의 가곡을 선사하며 고향에 대한 향수를 달래드릴 것입니다. 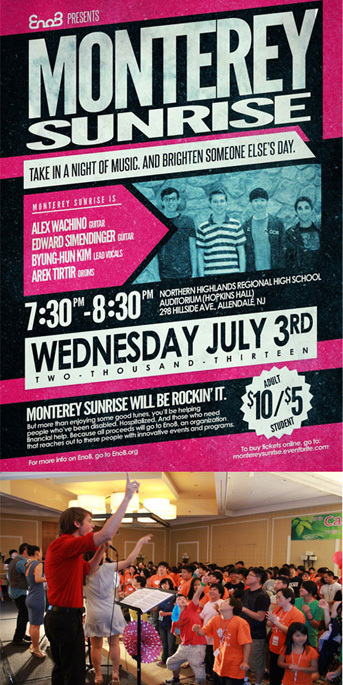 An Outreach concert will be held in KCS in Corona. Top opera singers will sing Korean songs to Koreans living in the area..
매년 여름 미주 동북부 지역 7개 밀알 선교단이 연합으로 여는 ‘밀알 사랑의 캠프’에 올해도 찾아갑니다. 작년 공연을 보며 흥겨워하던 아이들을 잊을수 없다고 하시며 이노비를 초청해 주셨습니다. 600여 명의 장애인과 함께하는 이번 캠프에서 이노비는 장애어린이들에게 즐거운 추억과 즐거움을 선사할 것입니다. Every summer, MilAl Love Camp is hosted by seven MilAl Missions of the northeastern regions of the U.S. Enob is again invited. EnoB will be creating pleasurable memories for 600-disabled-children that attend this camp. [사진1] 한국일보 "이노비, 소아병동 위문공연"
[사진2] 중앙일보 "이노비 건강 세미나와 가곡 콘서트 개최"
[사진3] 한국일보 "이노비 양로원 위문공연"
[사진4] 중앙일보 "어린이 환자와 가족들에게 희망을"
[사진5] 한국일보 "몸도 마음도 함께 힐링:이노비 서울대병원 '건강세미나, 음악회' 성료"
[사진6] 중앙일보 "1불로 시작된 기적…11년간 329만불 지원"
이노비언 여러분들~ 새로운 피아노 디자인의 컵이 완성되었습니다. 여기서 피아노는 "음악"이라는 EnoB의 행복전달 방법을 의미하는데요, 계속 이노비와 함께하시는 정재경님께서 디자인을 해주셨습니다. 머그에 대한 문의는 enobinc@gmail.com, 212-239-4438로 받습니다. Hello, Enobian! We have a new EnoB mug design that was created by our talented designer Jae-Kyung Jeong. 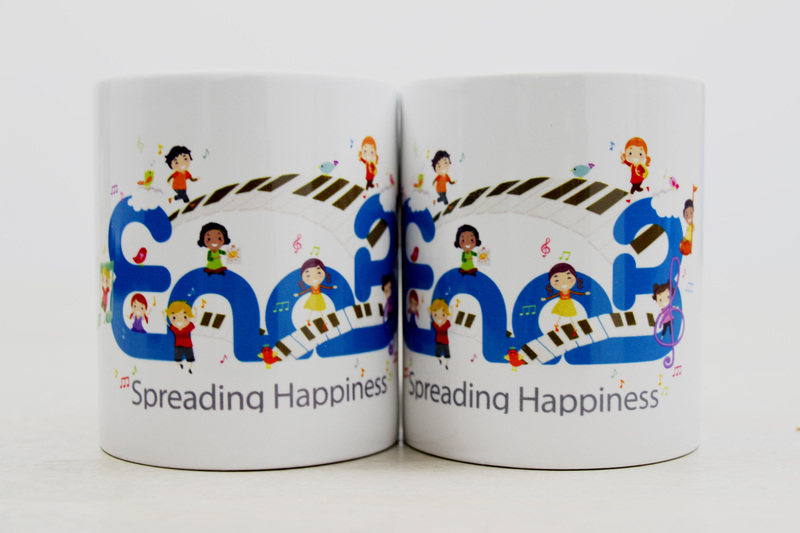 Use our lovely piano mug to put yourself in a happy:) mood. For information about the mug contact us at: enobinc@gmail.com or 212-239-4438. 이노비의 2013 여름 배너를 소개합니다! 2013년 여름 스크린은 그동안 이노비와 함께 해주신 디자이너 김규현님께서 디자인 해주셨습니다. Introducing our new summer banner! This summer screen was designed by GyuHyun Kim who works with EnoB.